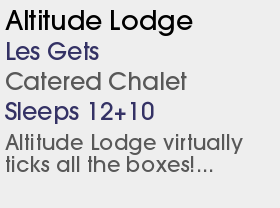 1 Catered Chalet, 1 Chalet Hotel and 2 Half Board Hotels. WEsay A traditional savoyarde village with a great ambience. This is a perfect base for family groups, with a wide selection of slopes and small and friendly bars. If you would like to book a winter holiday that has something to offer the whole family, this resort is ideal. 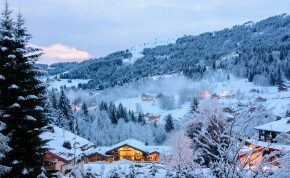 Situated in the Portes du Soleil winter sports area, the largest of its kind in the world, there is plenty to keep skiers of all levels happy, with nursery slopes close to the accommodation and numerous blue and red runs minutes away by high-speed chairlift. Those that are looking for a challenge can visit nearby Mont Chery, where the Bouquetin black run awaits and there are many other runs in the area that are sure to be of interest. 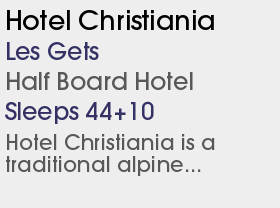 We have Les Gets ski chalets & hotels ideal for family breaks and for couples ski holidays. The village is comprised of a mixture of traditional and modern buildings and has managed to retain its unique charm, unlike many other resorts in the area. With a wide variety of restaurants, bistros and bars, families are sure to enjoy a break in this beautiful location and our Les Gets ski accommodation includes hotels and apartments close to ski hire shops. The village square is the site of a weekly market where visitors can buy something to remember their holiday by and there are many interesting shops in the high street that sell a variety of goods at reasonable prices. In addition to the bars and restaurants mentioned above, there is a disco where visitors can dance the night away. The resort is also home to an ice rink where children and adults can enjoy a different type of winter sport for an hour or two. Other leisure facilities include a bowling alley and a golf course, as well as an adventure park. Hiking and mountain biking are popular activities among those who visit regularly although most of those who head for this resort are winter sports fans and it is for the great skiing Les Gets is justly famous. Tour operator Ski2 is now offering two-centre holidays in Les Gets and Champoluc in Italy, with free transfers between the two. It is also presenting a free on-demand mini-bus service around Les Gets and to and from nearby resorts and lifts so you can get the main Portes du Soleil circuit more quickly. The quad Ranfoilly chair in the Les Chevannes region will be improved to a six-pack transporting 3,300 people per hour (40% more than the old lift). The tricky start of the piste at the top will be made easier for beginners to enjoy. Mont Chéry will have a timed slalom run. Tour operator Ski 2 (which until now operated only in Champoluc in Italy) is running two catered chalets and self-catering accommodation in Les Gets.